It doesn’t come to much surprise that TNT has announced that they have renewed series The Librarians for a 10-episode second season to air later this year. The series debuted as the #2 cable premiere of 2014 behind TNT’s The Last Ship. The series is based off the TV movie series of the same name that starred Noah Wyle, airing three installments between 2004 and 2008. In the series, Wyle’s Flynn Carson must recruit a new team to watch over the library while he is off on other missions. 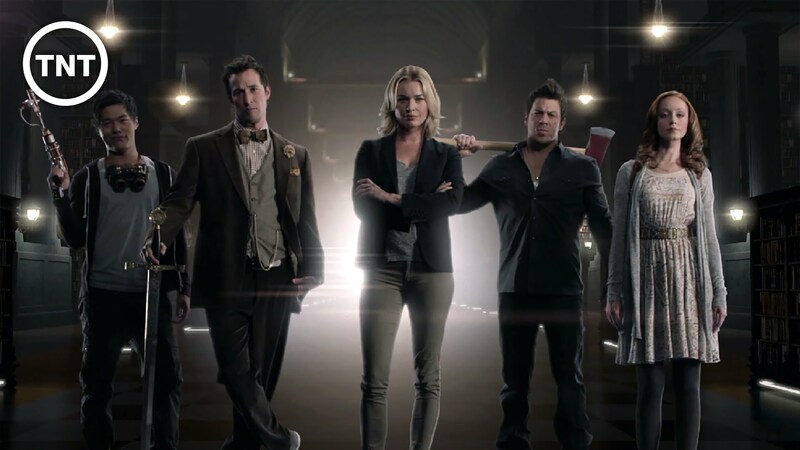 The Librarians stars Rebecca Romijn, Christian Kane, Lindy Booth, John Kim, and John Larroquette. Wyle appeared in four episodes of the first season (the two-hour pilot counting as two) and will do another four or five in season two – as well as directing an episode. Paul’s Review Of “Jupiter Ascending” (2015) – This is how we start 2015? Best news of the year so far!! so needed some! #TheLibrarians #LibrariansS2 is something awesome to look forward too.. Christian Kane on my tv is always a good thing!